Niki Lauda's spat with Ferrari is diverting attention away from a great battle for the F1 championship. In the absence of any action on the track for a month, the world of Formula One has instead been sidetracked by an unseemly spat between two of its household names. The war of words between Ferrari and three-time world champion Niki Lauda seems all the more cheap and unnecessary given the Austrian won two of his titles with the Italian team in the 1970's and was a decade later appointed to a consultancy role by current Ferrari chairman Luca Di Montezemolo. The controversy was sparked by the continuing fall out from the German Grand Prix, when Ferrari appeared to instruct their Brazilian driver Felipe Massa, who was leading the race, to allow teammate Fernando Alonso, in second, to overtake him. The actual words used by Ferrari’s race engineer Rob Smedley over the radio were as follows: "Fernando is faster than you. Can you confirm you understand?" Seconds later, Massa slowed down, Alonso moved into the lead and the Spaniard went on to take the checkered flag. Team orders have been forbidden in Formula One since 2002, a law introduced after too many seasons were influenced by manipulation from the pit lane which often, ironically, involved multiple world champion, and then Ferrari number one driver, Michael Schumacher and a succession of obedient number two's. But at the Hockenheim circuit Ferrari clearly ignored that ruling according to those in charge, a fact reflected in their $100,000 fine – the maximum race stewards can impose – and the referral of the case to the FIA. The fact the sport’s ruling body decided not to hear the case until early September means accusations and counter claims are still being thrown by all sides, a full month after the event. All of which leads us to Lauda’s interview with the official Formula One website, where he expressed his view that Ferrari had acted “against all rules” in Germany, and were “mocking the fans” for seemingly orchestrating the result. He also said the Italians could expect a “pasting” when the hearing in Paris finally gets underway. Their point that Lauda was happy to receive and comply with team orders back in the day is nonsensical, given the rules have now been changed and the 61-year-old was commenting accordingly. To employ such fierce language towards an individual who enjoyed some of the finest moments of his career in a red of the Italian marque is surely a churlish argument that Ferrari could have risen above. Lauda is perfectly entitled to his opinion, especially given his credentials, but surely he knew he would provoke a reaction from an outspoken team with his inflammatory comments. Still, the Austrian more-than-likely voiced the thoughts of the majority of fans, who would prefer to see a straight shoot out between the drivers than a win-at-all-costs policy adopted by any team. The petty squabble detracts from what promises to be an enthralling climax to the season, with the five leading drivers separated by just 20 points at the top of the championship. Moreover, it begs the question why it has taken the FIA so long to hear the case. Had it been in the first week of the month-long hiatus then all parties would know exactly where they stand once the season revs up again in Belgium. Instead, F1 fans are subjected to mud slinging from two parties who, if truth be told, should know better. If one has a teammate in any sport, this sport is considered a team sport, therefore one should abide by any decision made for the sake of the team. So F1 should do away with 2 drivers if they want to avoid such controversies in the future. Personally, I think Lauda is right to question Ferrari the way he does. Back is his days, I doubt very strongly he'd ever go for such orders. Moreover, as a Senna/Prost fan, I doubt even more either one of these drivers would ever obey team orders. Ever since Senna's death, the sport has tried everything in its power to bring the sport back to that level of sportsmanship and dedication. If Alonso was so much faster than Massa, why the hell didn't he just overtake Massa ? SURELY, as a 2-time world champ, he has the skills needed, right ? Wrong ! He has to ask race control for help....pathetic !!!! I hope F1 fans out there don't fall for Ferrari's excuse for deciding a GP....Viva the Senna/Prost era !!!!! 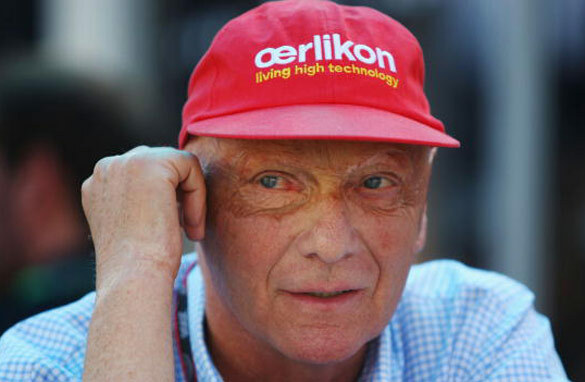 Good for Niki Lauda, he is absolutely right in pointing out that Ferrari broke the rules, what is really interesting in this spat of words is the very strong reaction from Ferrari, one can only speculate why they are now pointing fingers, it might be Ferrari which should have a good hard look in the mirror. It appears to be a touchy issue for them! What is the saying about "there is no smoke without a fire"! If this breach does not have consequences exactly like the Renault "accident" in Singapore I think F1 will lose further credibility and viewers. Having been a keen F1 follower since the 1970 watching my first live race in Anderstorp, Sweden in 1978, it would leave a very nasty taste in my mouth if FIA does not come down hard. F1 needs to get back to racing and for the teams to follow the rules, why else have rules. Hey Ben...Did you ever look at the rules ? Maybe you should. This sort of "intervention" by team control is against regulations. Ever since I can remember each team has 2 drivers. At one point, Ferrari wanted a 3rd driver because they can afford it. Imagine that!!! The 3rd driver is quicker that the 1st...come on !! Anyhow, each driver is given the same equipment as its partner and also a chance to go for a win. After all, winning is what every driver wants. Now you write about teaming up...they do team up by making to the podium as many times as possible....that's called Constructor's Championship; which goes to the team with most points. The driver has to work its own way to Driver's Championship and every point counts as in 2008 where Hamilton won from Massa by one point. Ask Hamilton if he would let his partner pass him. What a bunch of bull !!! Back in 2002 Ferrari did the same thing and got fined 1 million US dollars and F1 got the rules we see today put into place. What for ? So that in 2010 they get a 100 thousand fine and yet another review of the same rules.....I don't get it !!! Has the financial crisis got to F1 as well ?....the fine just got 10x cheeper !!!! LOLLLLLLL Or maybe the rest of the money went to bribe the decision makers ?? ?